The ISP has updated the plans for all retail and SOHO (Small office, home office). 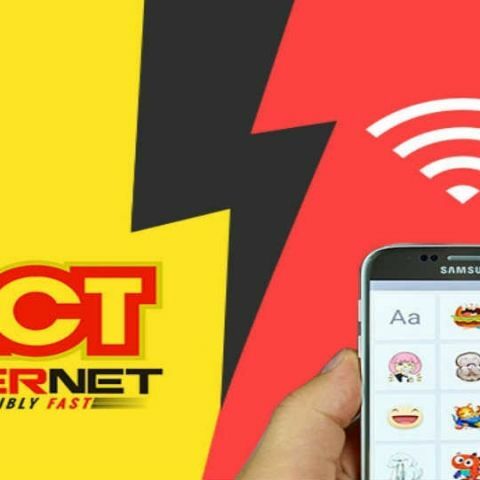 ACT Fibernet recently announced upgraded speeds and FUP caps on its broadband plans in Coimbatore. The new changes are available for all retail and Small Office, Home Office (SOHO). Some of the packs, when subscribed for six months, come with offers like one-month of free usage and free Wi-Fi router with no installation charges. ACT Fibernet (Atria Convergence Technologies Ltd.) India’s largest fiber-focused wired broadband ISP (Internet Service Provider)[i] recently upgraded the speed and FUP limits for all Retail and SOHO (Small office, home office) broadband plans in Coimbatore beginning 8th August, 2018. The upgraded plans will allow customers to consume data both on uploads and downloads as per their needs and usage. Furthermore, these plans are made available to customers at no additional cost. Under Retail broadband plans, ACT Basic has been upgraded to 125 GB FUP limit with 25 Mbps speed, ACT Rush has been upgraded to 200 FUP limit with 40 Mbps speed, ACT Sprint has been upgraded to 350 FUP limit with 100 Mbps speed, ACT Race has been upgraded to 500 GB FUP limit with 100 Mbps speed, ACT Zoom has been upgraded to 750 GB FUP limit with 125 Mbps speed, ACT Bolt has been upgraded to 1000 GB FUP limit with 150 Mbps speed. Similarly, under SOHO (Small office, home office) broadband plans, ACT Remarkable has been upgraded to 2000 GB FUP limit with 150 Mbps, ACT Exceptional has been upgraded 3000 GB FUP limit with 200 Mbps speed, and ACT Phenomenal has been upgraded to 4000 GB FUP limit with 200 Mbps speed. Additionally, ACT Fibernet has bundled the fixed term retail and SOHO broadband plans with attractive offers. Customers opting for any of the plans for a period of 6 months can enjoy one month free subscription with a free Wi-Fi router usage with no installation charges, and on 12 months plan customers can get with two months free subscription with a free Wi-Fi router usage at no additional installation cost.